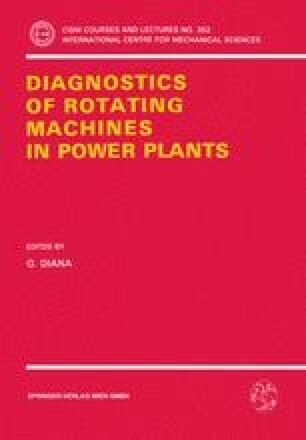 This paper addresses diagnostic technology for power generating combustion turbines. It covers measurement techniques and software to interpret measured data, including details of methods to analyze transient vibration data. The paper reviews diagnostic techniques for on-line condition assessment and automated diagnosis, together with methods for defining and solving specific operational problems. Measured quantities include vibration, low speed shaft run-out, blade tip clearance, blade temperature, case distortion, strain, and combustion flame condition. Analysis techniques include modal methods, detection of significant change, visualization, and hot section life management.